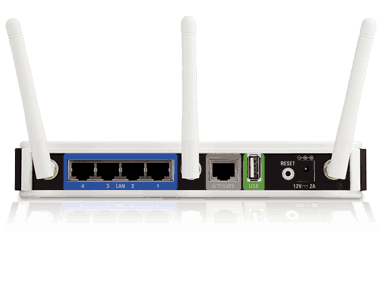 How to connect wireless router with 3G USB Modem? On first stage of course i already use search function here and several from major search engine but not help at all. Story is like this, now i got DIR-655 Xtreme N Gigabit Router come out with USB interface (D-Link's SharePort™ Technology) as read on manual "Compatible with 802.11b and 802.11g Devices - The DIR-655 is still fully compatible with the IEEE 802.11b standard, so it can connect with existing 802.11b PCI, USB and Cardbus adapters." So let say if i must configure my internet connection from DIR-655, which mode should i choose? static IP, dynamic IP, PPPoE, PPTP or else? So can anyone help me? share your opinion/experience? Any URL can i refer for it? Re: How to connect wireless router with 3G USB Modem? You can't use 3G USB with NA firmware as it does not support 3G. Only EU or WW firmware has support for some 3G USB sticks. But you can't flash ww or eu firmware anymore, as you already upgraded to 1.32NA. There is no downgrade possible to 1,30eu or ww. Thanxs for your reply. Really piss off as well as lack of information from salesman n dealer huhuhu.. and also from provider. Just read from several website, if stick at old firmware still have a chance by tweak it. No more chance if updated with latest firmware. Ermm.. Dlink should think bout downgrade feature. I guess they won't. It seems to me the most probable reason why 1.3x cannot be downgraded is the very removal of 3G modem support. May be they are legally threatened and are required to prevent their customers from regaining the 3G tethering feature.